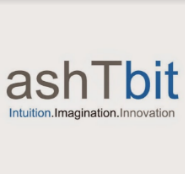 11 February 2019 - Explore Software Engineer - Developer jobs in Mumbai with 3 years to 10 years experience via Ashtbit technologies pvt ltd. Register here to apply online for similar kind of Software Engineer - Developer jobs. Experience: minimum 3 years working with Microsoft Azure Technologies as a software engineer. Technical Profile: Must have good logical and analytical skill; Must have experience working with Microsoft Technology and C#, especially - Azure, Media services and Active Directory; Must have good experience in broadcasting, live streaming and DRM play.